Rwanda; and the Genocide which was allowed to persist there in the 1990’s; was the point at which I stopped believing in the United Nations as the cure for anything. In spite of my own experiences in supplying the so-called “Peacekeeping” forces in Beirut during the early 1980’s I had still held out hope that the UN might be able to do something useful in this world. Rwanda dashed all of that hope for me. How was it possible for the massacre between Hutu and Tutsi to continue while well-armed UN Peacekeepers were in country facing enemies armed with machetes? The official policy was to observe; and shamefully that is just what they did. As diplomats spoke over lunch and politicians made speeches, the Peacekeepers were left with no clear directive of what to do when the mass killings began. And, as the killings progressed and the bodies piled up, the officers and men of the Peacekeeping Forces did their job and so did nothing. In this beautifully made movie which takes place in 1994, just after the Hutu President’s plane has been shot down, the Hutu’s and Tutsi’s come to war over allegations that the plane was shot down by the Tutsi’s. The Hutu’s are more numerous and have every advantage of being the governing tribe in Rwanda. The airplane crash serves as a pretext for the killings to begin. 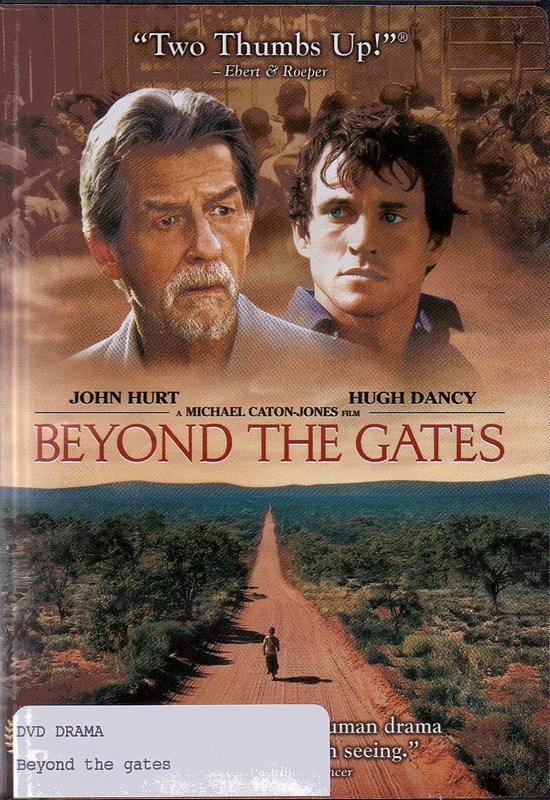 The film centers around a local school run by a Priest named Father Christopher, played by John Hurt. He is assisted by Joe Connor, played by Hugh Dancy. They have forged a community with the Tutsi’s of the area and introduced them to western style education and Christianity. There are also some Hutu’s living at the school as employees, which makes you think that there is hope for peace between the two tribes; at least in the school itself. Father Christopher and Joe are able to shelter 2,500 men, women and children at the school as the violence rages just outside the gate and the corpses pile up. The Belgian Peacekeepers assigned to protect them find themselves under siege and a deadly game of cat and mouse ensues; the only question being how long it will take for the Hutu’s to realize that the UN Peacekeepers are under orders not to shoot; under any circumstances. As the situation spirals way out of control, Father Christopher begins to question whether he has done any good for the students in his charge. They recite the prayers, they eat the wafers of the sacrament; but do they really understand Christianity? But just as he is judging them he and Joe face the larger ethical question of what they should do as individuals. Do they stay and share the fate of their refugees? Or do they flee with the Peacekeepers, leaving them to the fate of the Hutu’s? Directed brilliantly and performed with intensity, this film will make you look with even more disgust at the United Nations. Having seen the UN in action close hand in Lebanon, I can tell you that this film does nothing to stretch the truth.